Universal Corporation (UVV), together with its subsidiaries, operates as a leaf tobacco merchant and processor worldwide. It engages in selecting, procuring, buying, processing, packing, storing, supplying, shipping, and financing leaf tobacco for sale to, or for the account of, manufacturers of consumer tobacco products. This dividend champion has increased distributions for the past 40 consecutive years. 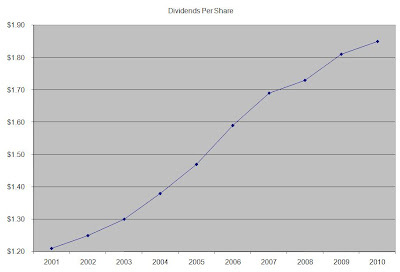 The latest dividend increase was in November 2010, when the company raised distributions by 2.10% to 48 cents/share. 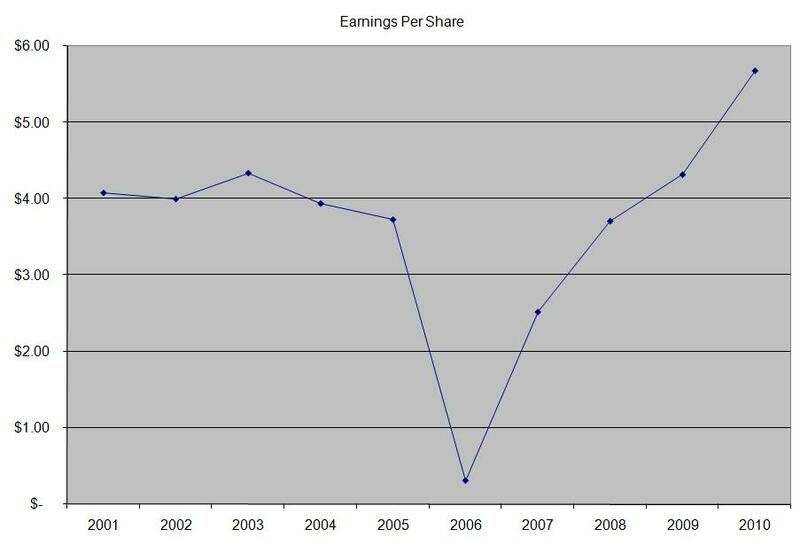 The company has managed to deliver an average increase in EPS of 3.70% per year since 2000. 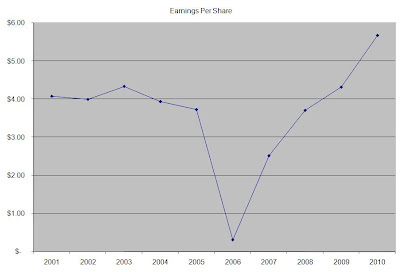 Analysts expect Universal Corporation to earn $4.60 per share in 2011. The company’s return on equity has been on the rise since reaching a bottom in 2006. Rather than focus on absolute values for this indicator, I generally want to see at least a stable return on equity over time. 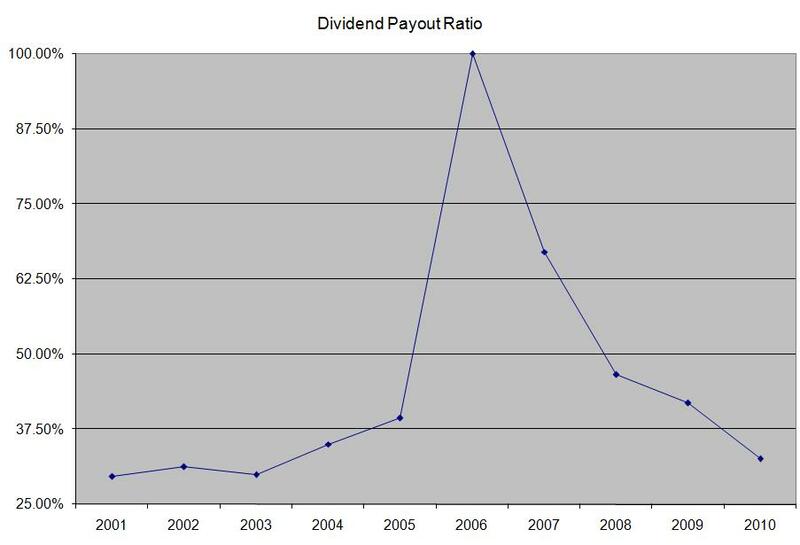 The annual dividend payment has increased by 4.60% per year since 2000. 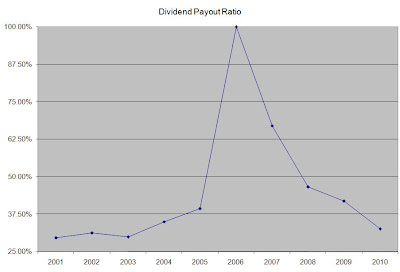 A 5% growth in distributions translates into the dividend payment doubling every fifteen years. If we look at historical data, going as far back as 1994, we would see that Universal Corporation has actually managed to double its dividend payment every sixteen years on average. Currently, Universal Corporation is attractively valued at 8 times earnings, yields 4.90% and has a sustainable dividend payout. I would continue monitoring the stock and will consider adding to a position in the stock on dips.